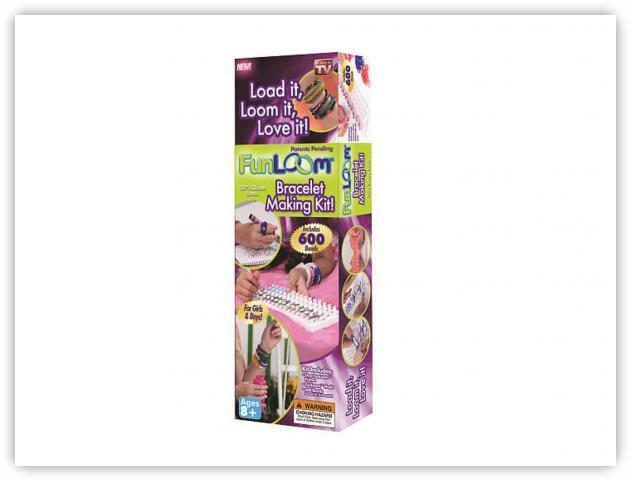 The Fun Loom has 4 columns of 15 pegs, for an astonishing 60 pegs in total. The columns are staggered to one another, and the loom is molded from a single piece of plastic. Additional Fun Loom kits can be combined either side by side, or end to end, creating a huge array of pegs for those larger types of projects. The Fun Loom is available at Toys-R-Us.